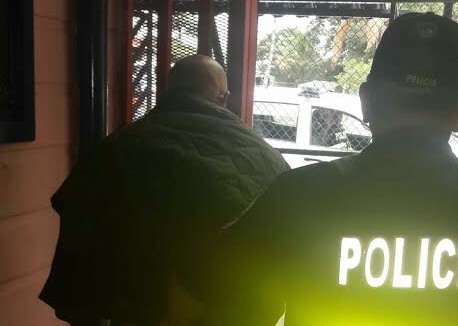 Costa Rica police arrested a suspected serial killer early Wednesday morning in Hatillo, a southern suburb of San José, according to the Public Security Ministry. Seven women have been found dead in the area south of the capital since April, with the most recent victim discovered on Aug. 6. Luis Ángel Ávila, subdirector of the Judicial Investigation Police (OIJ), told The Tico Times that each of the seven victims was homeless and had not been in contact with family, forcing investigators to find most of their leads through other homeless people in the neighborhood. The 30-year-old suspect, who is reportedly from Curridabat, an eastern suburb, was identified by his last name, Berrocal. Police said the suspect was captured at 1:24 a.m. Wednesday in a squatter’s shack in Hatillo’s Bajo de María Reina after two people reported him to authorities. Three of the seven victims have yet to be identified, Ávila said. The daily La Nación reported that police had also confiscated a vehicle supposedly used by the suspect. The case has brought back grisly memories for some Ticos of the country’s first documented serial killer, nicknamed “El Psicópata” (The Psychopath), suspected of killing at least 19 people between 1986 and 1996 in the eastern part of San José. No suspect was ever charged in that case and the killings went unsolved.